Fort’s cafe in Cliftonville, features in a new music video released today (November 23). Swedish singer GRANT and her crew filmed at the locations earlier this month after wandering in and asking if it would be ok to set up later that day. 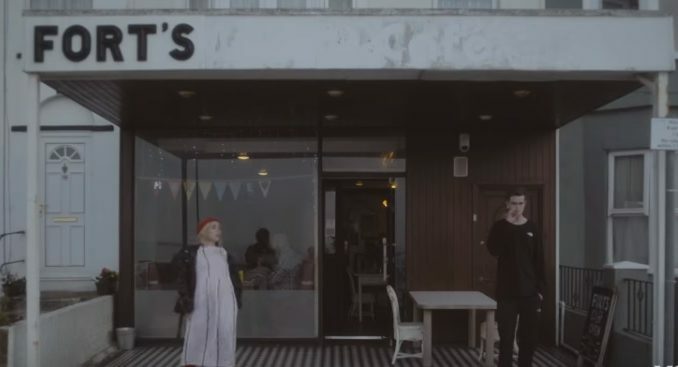 The video for GRANT’s release Changed My Mind also features Jack’s pal Harry Gill Vickers smoking outside the cafe and scenes at Dreamland, Cliftonville’s old Lido site sign, Olympia Cafe and the amusements next door to Bugsy’s ten pin bowling alley. The singer, whose birth name is Alma Caroline Cederlöf, is a rising star who released her debut track Wicked last year. She has now posted the video of the new song along with her thanks to the people of Margate. It also has scenes for the video filmed in the Olympia Cafe and amusements next door to Bugsy’s ten pin bowling alley on corner of Dalby Square which is not mentioned above.